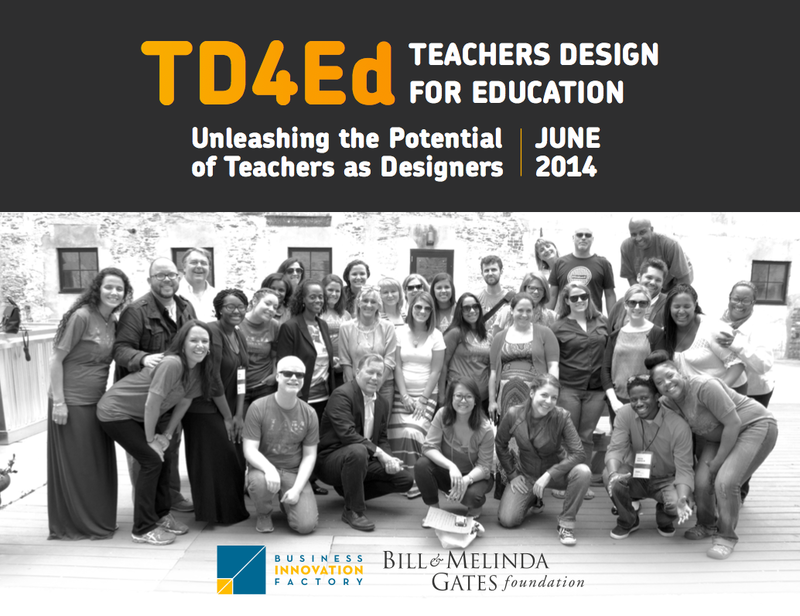 Through the generous support of the Bill & Melinda Gates Foundation and building on the research of Feedback for Teachers, BIF prototyped and tested TD4Ed, an online platform that teaches design thinking and enables teachers to innovate in the classroom, school, and district. TD4Ed began with the research from an earlier BIF project, Feedback for Teachers, commissioned by the Bill & Melinda Gates Foundation. We found that teachers struggle to maintain a sense of agency and autonomy in their own classroom, to improve their own practice, and to build a support network with their peers. As a result, many teachers feel disengaged from their work and schools, leading to a negative impact on the education system. Based on our findings, we set out to create a collaborative innovation platform for teachers to create, test, and implement solutions that can transform education. We know that teachers use their creativity to problem-solve every day. The TD4Ed Design Thinking process harnesses these skills that teachers already use and provides a more rigorous and intentional approach to tackling challenges that are meaningful to teachers — whether they are within the classroom, school, district, or community. The TD4Ed Design Thinking process consists of 6 steps, each with a distinct yet flexible set of methods and activities that are designed to build upon one another. With engagement support of our community partner, Highlander Institute, three U.S. locations were selected to pilot the program — Rhode Island, Philadelphia, and Chicago. We co-created the TD4Ed initiative with teachers in a series of pilot programs in each of these locations over the course of six months. In the summer of 2014, we turned our learnings into an online curriculum open to the public. The pilot teams completed the 6-week TD4Ed curriculum and have made positive, measurable changes within their classrooms, schools, and districts. Click here to read more about the projects and changes from the pilot teams themselves. The pilot programs culminated in a storytelling event, where community members and administrators heard about the challenges tackled by teachers. 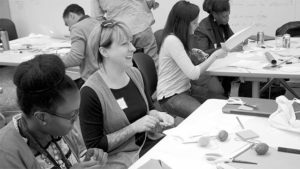 In the summer of 2014, TD4Ed’s impact continued as an open platform connecting teachers across the country to tackle issues in education through design thinking. This online curriculum is now available, giving teams of teachers the tools and resources they need to identify challenges, generate new ideas, and implement solutions. Click here to check it out, and click here to read a profile on one of the teams from the Gates Foundation!